In recent times, due to the increased students strength in colleges as well as schools makes it difficult to manage and maintain the student’s profiles, registration of individual students and their other details. To find a solution for this, Students profile management system is an innovative endeavor to manage the students’ details. The student staff profile management system has got an individual module for Administrators, Teachers, Staffs and Parents to connect all these stake holders of education system in a single platform. This open source school management script has important modules to maintain all the necessary details such as attendance, time tables, schedules, complaint box, forum etc are incorporated with product which will be highly helpful. The student and staff attendance system is a comprehensive system for information management of the attendance for the students. 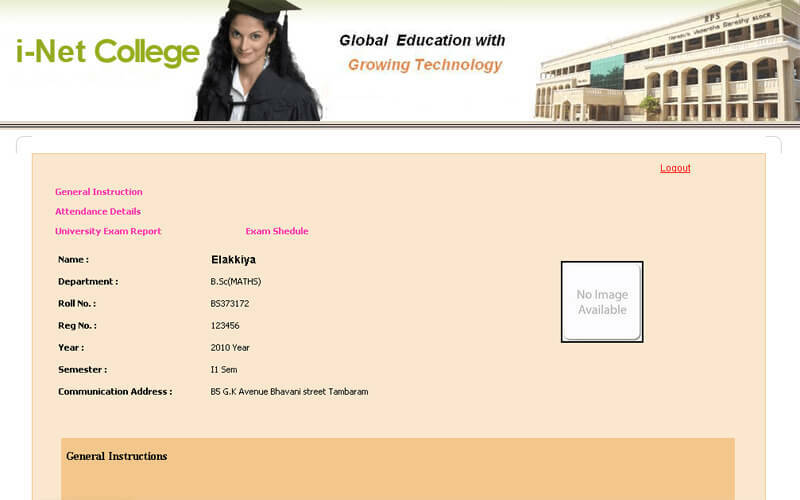 The daily updates of the college management such as Admission, Registration to finance, faculty and business development can be uploaded with the database. This PHP attendance management script reduces the human error disturb the database, and ensures an accuracy of information, which can be accessed anywhere at any point of time. 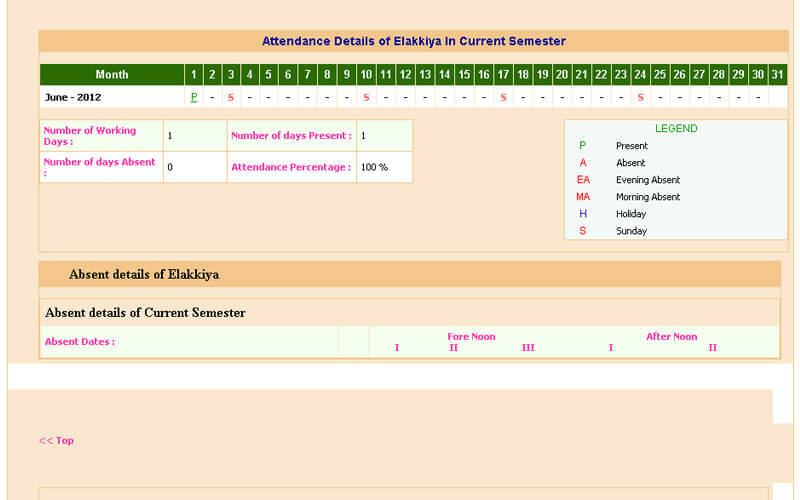 Our student and staff attendance system have separate module which is assigned to the parents can be a useful page, through which they can monitor their children activities. They can access the information such as attendance, grades, feedbacks and remarks from their concerned teachers. The real time information access both from the administrative as well as the parent’s login can initiate good communication. This script is designed in such a way that even a layman can use and access the information. The simple user interface, its intuitive features and many important modules make the product more preferable and comparing to other products available in the current market. The efficient security features and data security privacy make the product unique and most favorable among the product users. The integrated email facility which helps to send and receive messages within group this is available with the product. Our students Student profile management system supports school, colleges and institutions’ daily operations and eliminates the data entry errors, maintains most up to date information and maintains the essential history records for the future uses. We also provide 1 year of technical support, we also provide free source code updates for 6 months, we will provide you with the full source code upon purchase of the script. It is an innovative script. Everything is admirable in this script and I love the layout, designs and their immediate response in replying for my query. So folks hurry up! To buy this software, so you can also enjoy using this software. 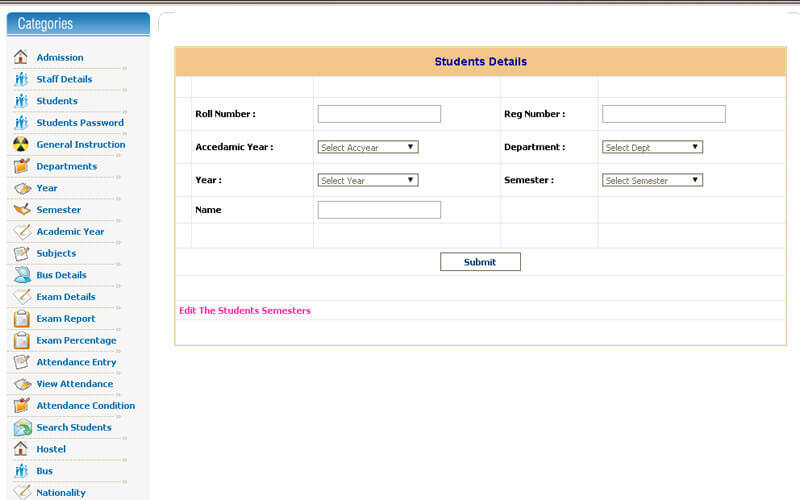 This script have individual login details for each user so I could easily find what I want this functionality is really marvelous, clear documentation, 100% suitable for all colleges and schools. I’m not easily impressed but the script you created us is truly amazing! You guys are always extremely helped and simply deal with the goods on a tremendous scale. I thank you personally for such a great looking script.